In our experiment, in which a Bose-Einstein condensate (BEC) of photons in the vacuum-ultraviolet spectral regime will be realized, the NORHOF 915 liquid nitrogen pump is used. For a BEC of photons, thermalization of the involved photons is required. Therefore, a suitable thermalization medium has to be found, for which liquid xenon seems to be a promising candidate. 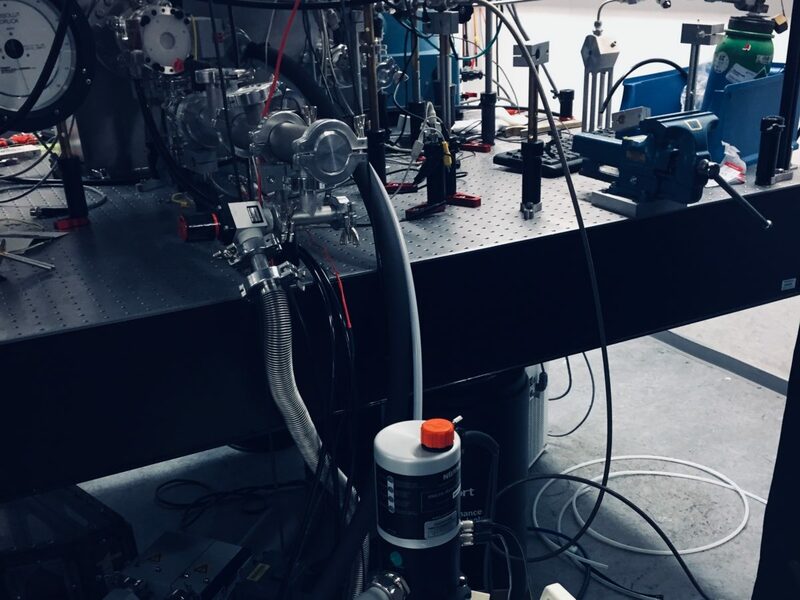 To investigate the required properties, absorption and emission spectroscopy of liquid xenon is being performed. The experiment takes place under vacuum conditions due to the light being absorbed by oxygen in the above mentioned spectral range. 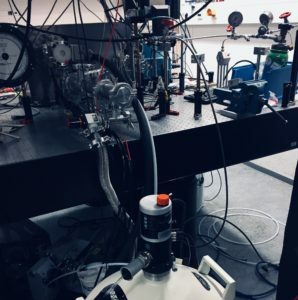 To enable us to do this experiment, a high pressure cell containing xenon gas has to be cooled down in a temperature range between 15°C and -110°C. 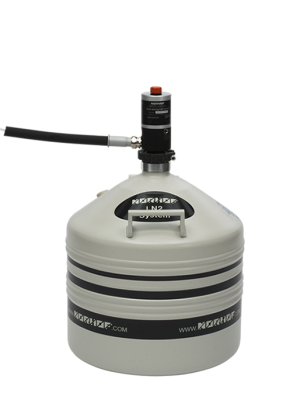 For this purpose the Norhof liquid nitrogen pump is utilized. 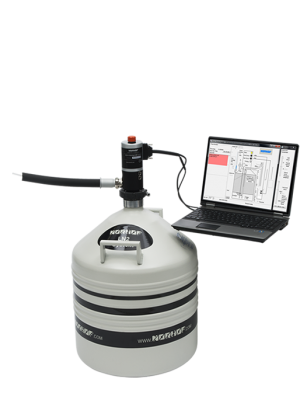 Liquid nitrogen is pumped by means of a feedthrough inside the vacuum chamber through a brass cooling jacket which envelopes the high pressure cell. In this application the integrated PID controller of the pump regulates the temperature of the high pressure cell, to an accuracy of roughly 1°C, while at the same time measuring the cell temperature inside the vacuum. 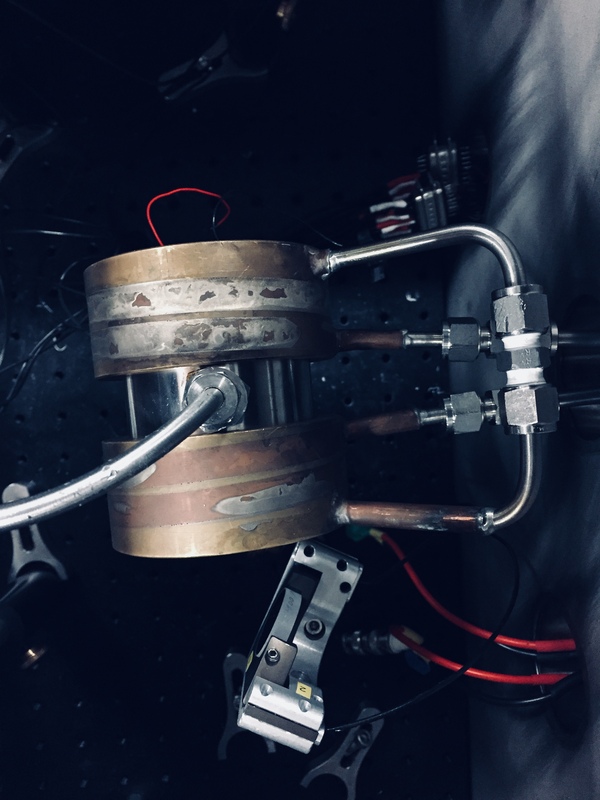 With an approximate mass of 1kg and consisting mainly of stainless steel, with this system the high pressure cell can be cooled to -100°C in less than 15 minutes. The pump is here being controlled remotely through a phython interface which, with the helpful support of Norhof, was straightforward to implement. In conclusion we are very satisfied with the reliable, stable, and quiet operation of this system and can gladly recommend its use in a laboratory setting.